So yesterday I shared the cards (plus a few extra's ) from the Bright & Beautiful Workshop. Today's share features the cards made from my Festival of Trees workshop and maybe a few more too! The workshop featured the Festival of Trees stamp set and the coordinating punch. I love coordinating accessories! This set of cards featured Real Red or Pear Pizzazz as it's feature colours. So pretty, especially with the sparkly glittery Joy! We used Whisper White Craft Ink on the gorgeous background of Lost Lagoon. So pretty! These cards highlighted the gorgeous Filigree Frame Embossing Folder and the All is Calm Designer Washi Tape. Beautiful accessories! This card featured the Z fold style of card making. Perfect for making impact! 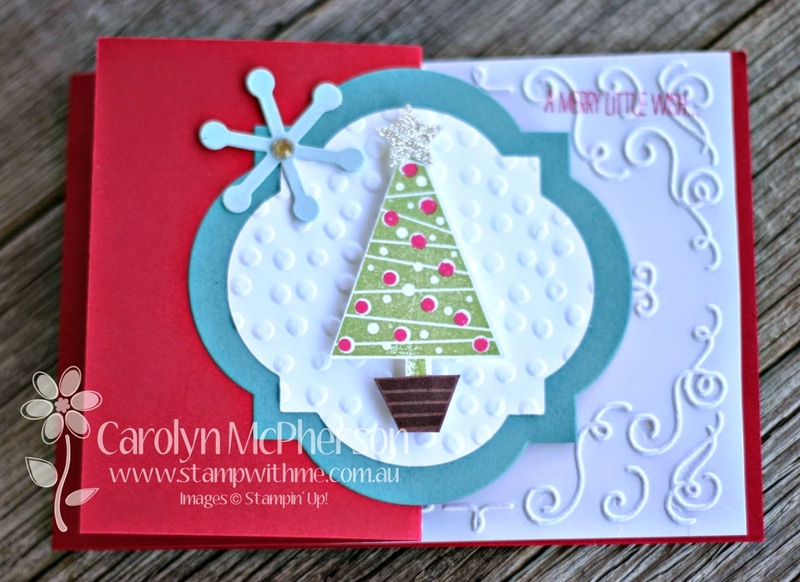 Cards inspired by Jenny Moors and Stampin’ Up! designs and a few of my designs too!